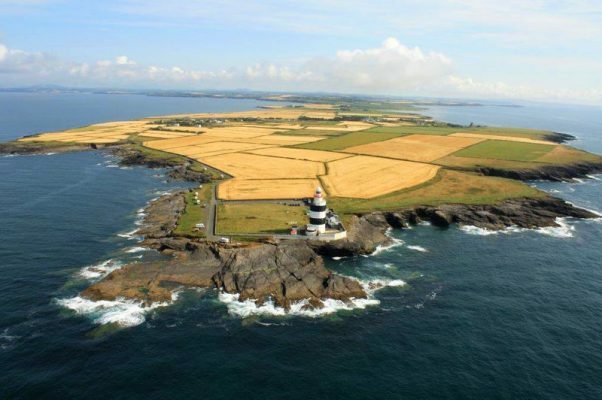 The Copper Coast Scenic Drive and Cycle Route is a 166km (100 mile) full day or multiple day, scenic coastal road trip starting from either Dungarvan, Co. Waterford or Rosslare in Co. Wexford. The Copper Coast Drive is one of the more spectacular driving and cycle routes in Ireland and a top way to explore Ireland's Ancient East. Take the route with you on our free App for iPhone and Android and share your photos on the ActiveMe facebook page. The upcoming Waterford Deise Greenway cycle and walking trail along an old railway line follows a short section of the Copper Coast route near Dungarvan before turning towards Waterford City. It is currently under construction in a number of phases but when fully complete, it will be one of the best off road cycle routes in Ireland and compliment the Copper Coast drive and cycle route. It will provide a great addition to the Copper Coast route and will allow the creation of a cycle loop between Dungarvan and Waterford City. Starting from either Dungarvan the Copper Coast drive and cycle route takes in the entire Copper Coast European Geopark between Dungarvan and Tramore in County Waterford and it extends onwards to Dunmore East, passing Waterford City, down to the Hook Head Peninsula and Lighthouse, Tintern Abbey (see photo) Kilmore Quay and finishing in Rosslare Co. Waterford. 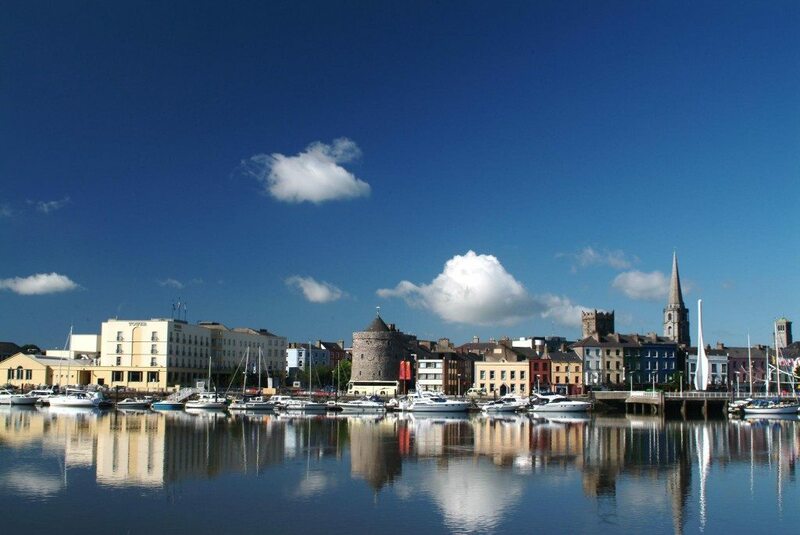 - Passage East fishing village and historical port - take the Ferry to Wexford here!! 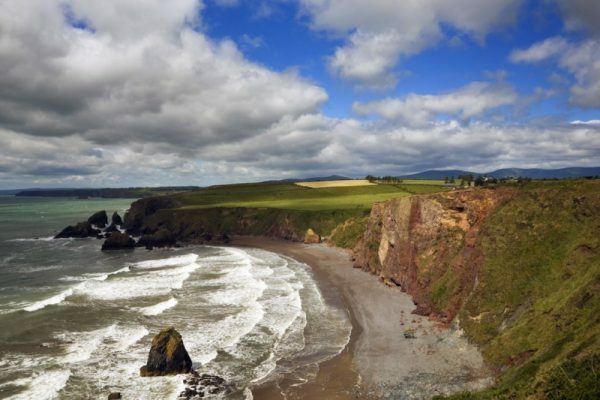 You can also extend the Copper Coast route from either end and make a full driving or cycling loop by travelling inland exploring the numerous sights and great scenic routes of the Munster Vales area which includes the Comeragh Mountains, Galtee Mountains, Knockmealdown Mountains and Ballyhoura mountains. From Dungarvan you can travel northwest to Lismore and take in The Vee scenic tourist driving route through the Knockmealdown Mountains and woodland along the river valley with scenic views at every turn along this up and down route. 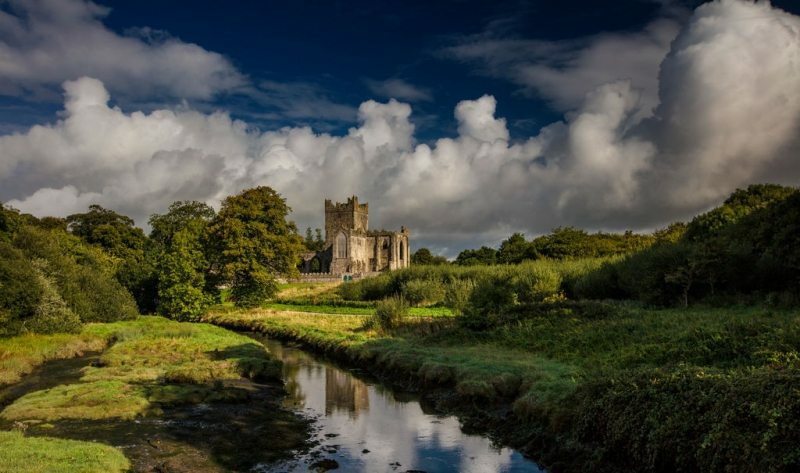 From there you can head east to the historical town of Clonmel in Co. Tipperary before turning north towards the famous Rock of Cashel and then east again heading to Kilkenny. Leaving Kilkenny you will then head south east along quiet country roads to the town of New Ross with connections to John F. Kennedy before returning east to Rosslare to complete the extended Copper Coast loop.